Members of the Interfaith Center on Corporate Responsibility (ICCR) , a coalition of faith-based and responsible institutional investors that have been actively engaging Walmart on social environmental, and governance issues are dismayed by recent reports in the NY Times alleging systematic bribery and corruption beginning in 2005 to facilitate the rapid expansion of their retail operations in Mexico. 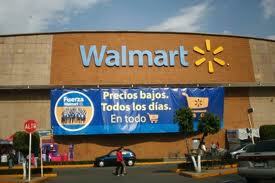 The Missionary Oblates is an active member of ICCR and engaged in the dialog with Walmart. The unparalleled growth of Walmart as an aggressive and competitive global retailer raises serious concerns that the company’s strategic vision to achieve success in the marketplace comes without an ethical standard of measurement on which to base decisions…The globalization of the economy has heightened already fierce competition, both here in the U.S. and in developing countries, to produce for less and sell for less at the expense of meeting the basic needs of people and communities. ICCR members view company support of the U.S. Foreign Corrupt Practices Act (FCPA) as critical and oppose the U.S. Chamber of Commerce’s attempts to weaken the law.